The voice has great power and it is instrumental in bringing about radical changes and to voice one’s thoughts is a courageous act. The voice if enforced, can stifle any institution, especially if that voice is of a teacher. Those who educate children well are more to be honoured than they who produce them for these only gave them life, those the art of living well. Teachers are a critical part of preparing children for the future and their voices are essential addition to the national debate on education. A teacher’s voice is a voice of society as it can only through pedagogy and education system mould the society. Teachers shape the future of a human being. They are the people who hold the candle of enlightenment knowledge and prosperity .Any nation who does not respect its candle bearers can never prosper and will always remain in darkness. Advancement of society depends upon its teachers. 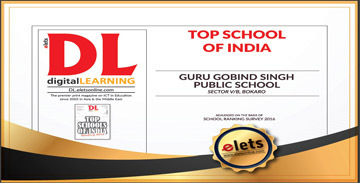 GGPS is dedicated to provide high quality of education that delivers real benefits for the students and their future. The society attempts to provide an imaginative and innovative ethos. GGPS encourages a quest for knowledge that is rooted in an ethical understanding of the world that it inhabits. The enthusiasm for learning along with a desire to evolve into socially responsible beings is reflected not only in the academic atmosphere but also in the field of extra – curricular activities. The members of faculty are highly qualified and motivated academicians from institutions of great repute who inspire, encourage and guide the students in all possible ways. 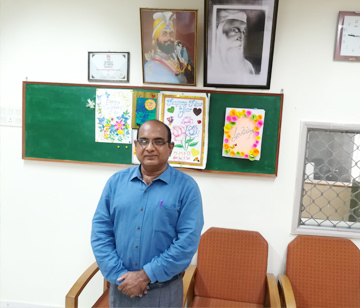 Being strong at academics is not enough to fulfill one’s dream, with that realization state – of – the art personality development programme is part of the curriculum to inculcate behaviour skills in every students of GGPS to make them ready. To bring out the true professionals in every students quality driven seminars, workshops and conferences are conducted throughout the academic calendar to motivate and groom the personality of the students.